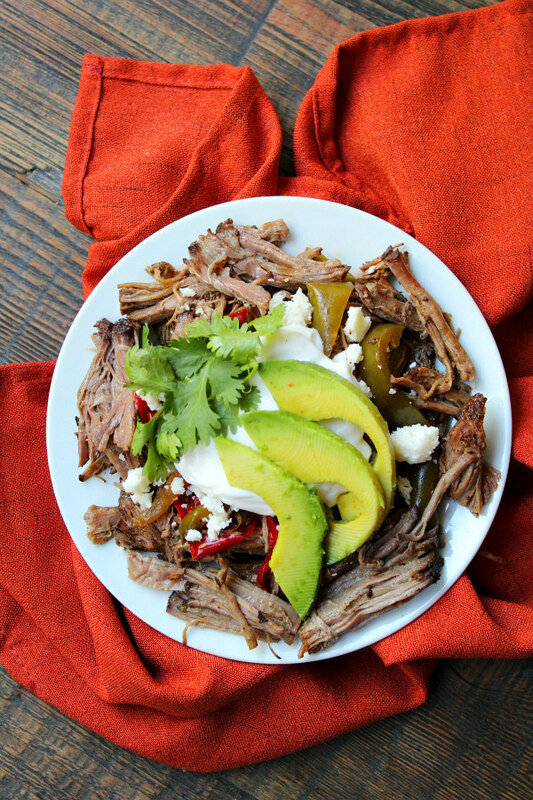 This week I’m sharing a brand new recipe for Slow Cooker Steak Fajitas! Recently I have been eating healthy and working out in an attempt to shed some of the pounds I put on during a rather gluttonous summer. 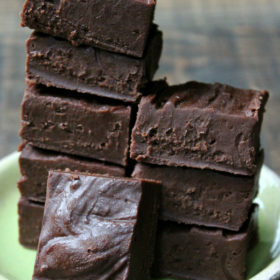 This recipe ties into my healthy eating perfectly! 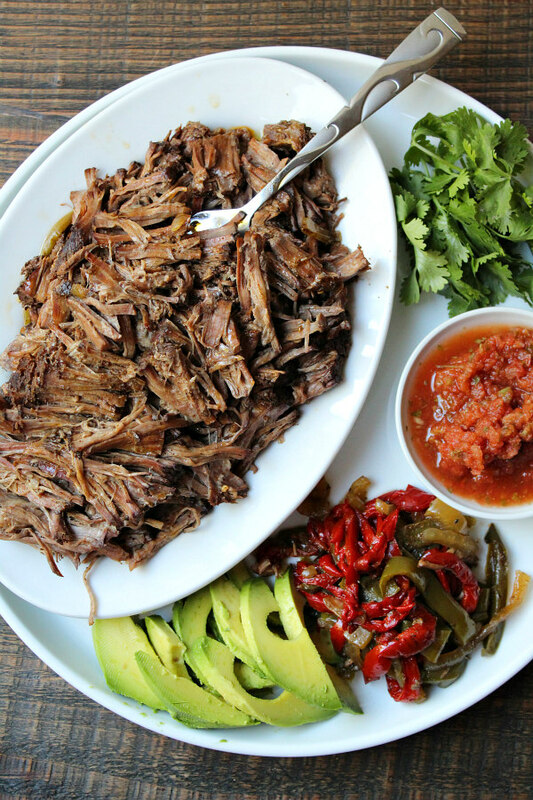 These Slow Cooker Steak Fajitas are a 100% Keto recipe, meaning that it follows the guidelines of the Keto diet. In short, the Keto diet focuses on minimizing carbs to burn fat instead as a source of energy for the body. Keto is all the rage among celebrities right now. Many reality stars, such as Kourtney Kardashian and Mama June, have used the diet to shed pounds. What I love about these Slow Cooker Steak Fajitas (and possibly the diet as well) is that you don’t have to sacrifice the taste of good food just to eat healthy. Diets often force us to eat strange food that teenagers like myself do not enjoy. You all know these foods like quinoa, cauliflower, kale, etc. However, this recipe doesn’t ask you to sacrifice ANYTHING! It is purely great taste in a healthy dish. Steak is my favorite protein of all. Take me to Chipotle and I won’t even consider another protein on my burrito. Why? Because it is so delicious! Steak always has a unique rub on the exterior, altering the flavor in various ways. It is so juicy and tender, causing instant salivation. 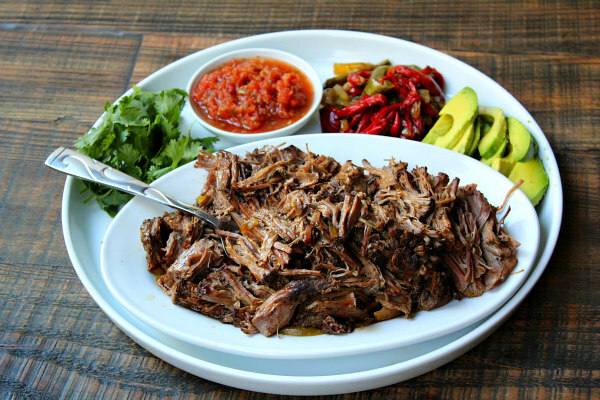 These fajitas incorporate my favorite meat and surround it with the best of toppings. I don’t know how you could go wrong with this recipe. One aspect of these Slow Cooker Steak Fajitas that I have not touched on yet is the simplicity. They’re so easy to prepare. Tossing the meat and vegetables in the slow cooker requires so little effort, and on top of that- it’s healthy! Most of the healthy meals I make usually end up taking forever to prepare, but this is different. I finally found an easy, healthy meal that will feed numerous people. These slow cooker steak fajitas are very versatile. I ate them without a tortilla because I wanted to try the Keto-style preparation, but you can easily fill low-carb tortillas with the meat and enjoy! Sour cream and cheese can be added as well, along with whatever other toppings you desire, although they may not be included in the Keto diet. The great virtue of this recipe is that there is no compromise. There is no decrease in flavor to improve the recipe’s health and vice versa. This dish covers all of the bases for a great meal. It is easy, healthy, and tastes fantastic! This is not your average healthy meal that kids will grumble about eating. 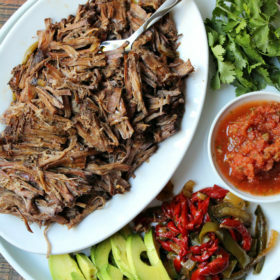 These are Slow Cooker Steak Fajitas, or the most awesome healthy meal you’ve ever heard of. If you’re interesting in getting some more recipes for the Keto diet, you might consider picking up this cookbook: Easy Keto Dinners: Flavorful Low Carb Meals for Any Night of the Week by Carolyn Ketchum (that’s where this recipe originated). You can also find some great Keto and low carb recipes on her blog: All Day I Dream About Food. 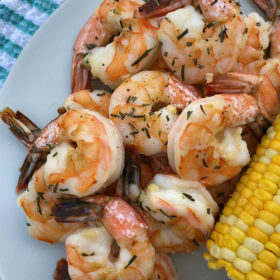 If you’re looking for more easy weeknight dinner recipes, you might want to check out my recipes for Easy Baked Garlic Shrimp, Easy Chicken Chow Mein, and Pizza Sloppy Joes. A really awesome low carb recipe! 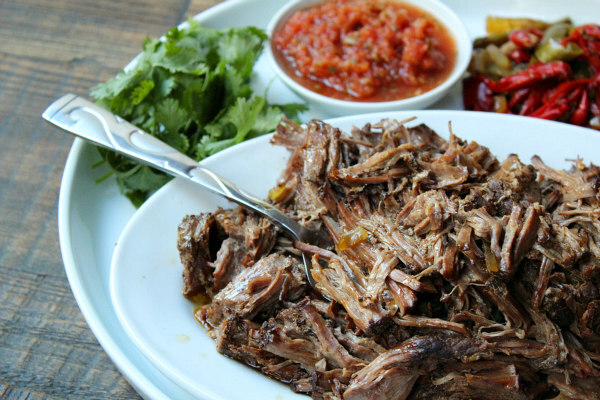 Place the chuck steak in a 4 to 6-quart slow cooker and sprinkle with the taco seasoning. Drizzle with the oil and top with the sliced peppers and onions. Pour the water into the slow cooker. Cover and cook on low for 8 hours. Shred the meat with 2 forks before serving. Serve with your favorite fajita toppings (and in tortillas, if you'd like). Disclosure: There is an Amazon affiliate link included in this post.